The church initially approached Proel International to discuss the design of a distributed sound solution, and while there, Paolo Burocchi treated them to a demonstration of an Axiom compact line array. 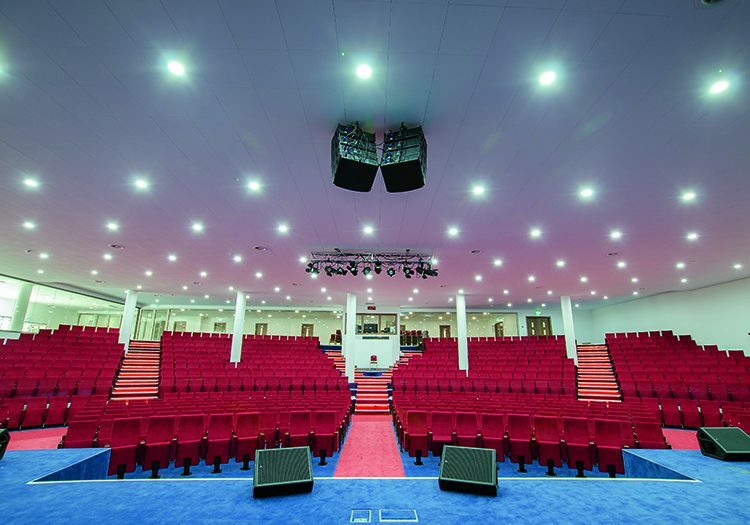 They were impressed, and subsequently submitted building plans to the design team at Proel’s headquarters in Sant’Omero, Italy, for advice on putting together a sound system for the main auditorium. 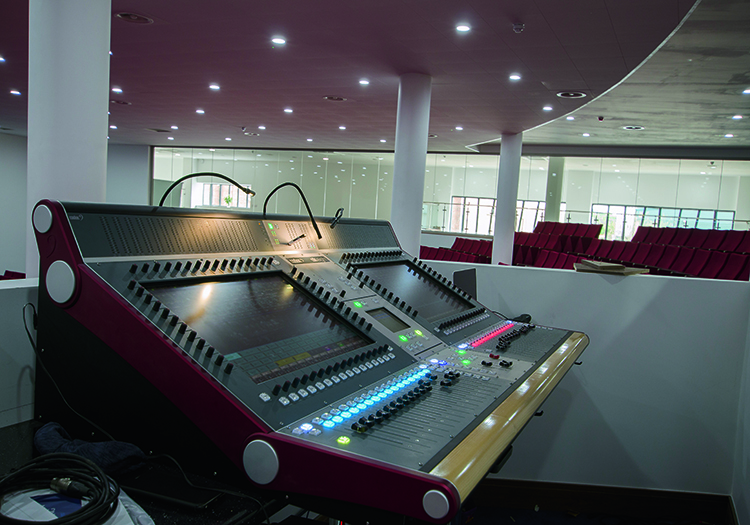 The sound system for the main auditorium is based on Axiom AX2065P compact passive line arrays, a dual 6.5-inch two-way model with 110° horizontal coverage, and hung in two columns of four cabinets over the centre of the stage to cover the entire auditorium. These are supplemented with two pairs of SW215P dual 15-inch subwoofers located under the stage at left and right. ED23P passive dual 3.5-inch front fills are built into the risers of the central steps, and ED25P passive dual five-inch front fills are fitted into the wrap-around wings of the wide stage. A total of 10 CX15A powered coaxial stage monitors can be cabled into any of 16 stage concealed stage box positions. At front of house, a Cadac CDC eight-32 full frame digital live sound console with dual 24-inch touch screens and 32 input faders mixes the 16 onstage mic channels and the multiple feeds from the live band at the side of the stage. The main room’s audio system is driven by three QC4.4 four-channel DSP amplifiers, and two QC2.4 two-channel DSP amplifiers, all networked with PRONET AX software and connected to a laptop up at the main desk, so that the speaker system can be monitored remotely and fine adjustments made as needed. The distributed audio system has expanded to become a complex configuration that covers the entire building. Four MATRIX88 units form the heart of the system – centrally racked up alongside a SOURCE CD/MP3/FM tuner, an AMIX63 nine-channel mixer, five AUP4125S four-channel amplifiers, and four AUP4250S four-channel amplifiers. Proel ceiling speakers feature prominently throughout the installation. 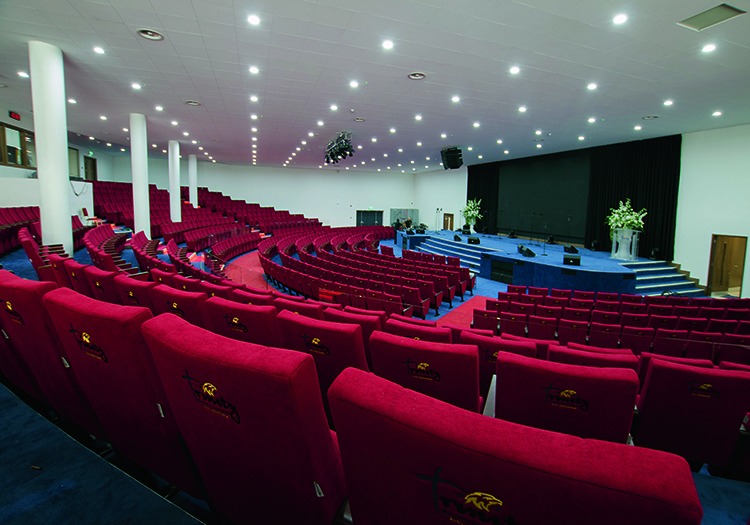 XE51CT five-inch full range models are used for the majority of the small training rooms and the main lobby area, and for the café and the auditorium’s overspill areas CS30HFT 6.5-inch two-way ceiling speakers provide wider frequency response and higher output to reflect the energy of the musical content of a service. Joseph Arthur is the chief sound engineer at Oasis House. “When Paolo showed us the Axiom line array and we listened to it, we knew straight away that was what we wanted,” he said. 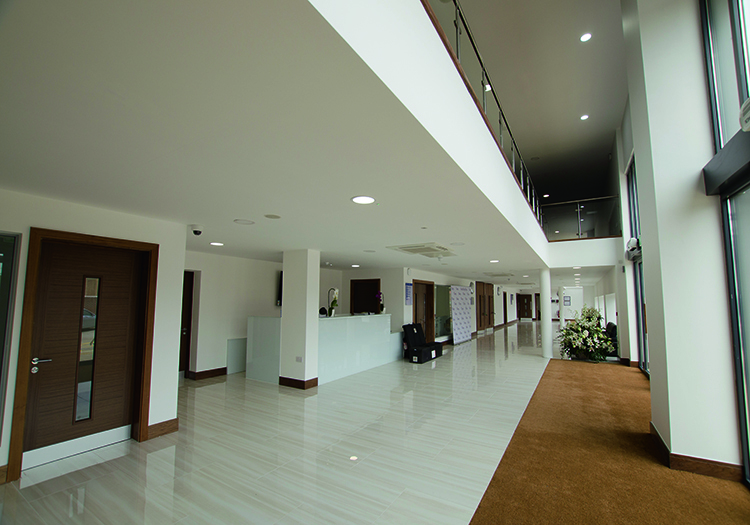 “The sound was very clear, and we thought it would be very suitable for our musically-orientated services. Now that the system is installed and commissioned – the guys came down from Italy to set up the software and fine tune it – the clarity of speech is excellent, everyone can hear clearly, and there is more than enough bass for the live music program.